The Paul and Alexandra Canellopoulos museum was founded in 1976, after the private collection of Paul and Alexandra Canellopoulos was donated to the Greek state. 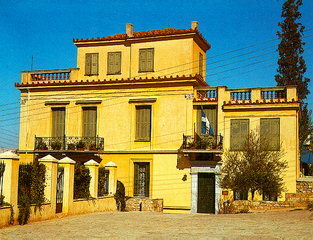 The Neoclassical building on the north slope of the Acropolis was erected in 1864 and was originally used as the mansion of the Michaleas family. In the 1960's-70's the building was purchased by the Greek state and restored to permanently house the collection of antiquities.